Oh Get A Grip! : Closing the Door on The Superfluous Man: Eugene Onegin, a post by @GiselleRenarde. Closing the Door on The Superfluous Man: Eugene Onegin, a post by @GiselleRenarde. I’m proofreading and I’m obsessed. Obsessed with turning this book I wrote into the best piece of writing it can possibly be. Because, you see, this book of mine has been years in the making. It’s a contemporary adaptation of Pushkin’s Eugene Onegin, a tale I’ve been into since I was a teenager. That’s when I first heard Tchaikovsky’s operatic version on the radio. Instantly, it became my favourite opera. And it still is. 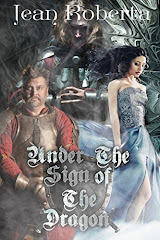 The Canadian Opera Company is mounting a production this fall—a Met production I’ve seen twice on TV and once live… with obstructed view, granted—and I’m going to have to scrounge up a ticket somehow. Just one. I WILL go to the opera alone. I’ve done it before. Tchaikovsky didn’t even refer to this opera as an opera. I think he called it “lyrical scenes” or something. Which is just as well, considering the work it was based on was a verse novel rather than prose. The whole thing rhymes. 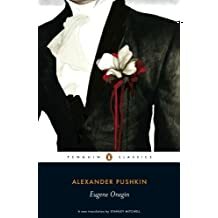 I’ll admit something shameful, here: it’s been 20 years since I read the original Pushkin (in English, not in Russian—I’m not that impressive). When I wrote my adaptation, I shaped it by basically laying my words over the structure of the opera. I had the libretto open beside my computer and I even went line by line, at times, creating this new version. Mine does diverge from the original in many ways, but not in form. When it comes to structure, I need all the help I can get. It’s always been my weak point, so I’m not afraid to steal from opera. Maybe I should tell you what Eugene Onegin is all about. I think of the story as being popular because I’m aware of it, but I also woke up this morning with a song in my head from a 1992 episode of Jeeves and Wooster because I’ve watched it 6 times this week. This might be niche knowledge. I just don’t know anymore. Sounds like quite a romp, doesn’t it? But it’s full of angst, and that’s probably why I loved this story as a teenager. 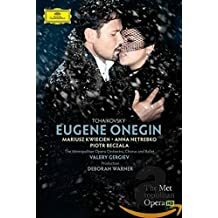 I believe it was Turgenev who referred to the character of Eugene Onegin (and those of his ilk) as The Superfluous Man. He’s got money, but it doesn’t make him happy. Everything bores him. He seeks amusement in travel, in gambling, in women, but nothing floats his boat. Tatyana is a much less cynical individual, but something attracts her to Onegin. She’s infatuated, pretty much in an instant. I just realized I’m spoiler-ing this story for those of you who aren’t familiar with it. So I guess you could stop reading now, and pick up a copy of Pushkin’s novel… or, better yet, wait for my book to come out and buy that. But I’m going to continue with my spoiler-y post, because this book was written nearly 200 years ago, so I’d say ample time has passed. Anyway, Tatyana proclaims her love for Onegin in her famous letter scene, but he rejects her. Hard. He’s a condescending jerk about it. Years pass. Tatyana marries a prince. When the Fates conspire to put her in the same room with Onegin once more, he decides it’s a good time to return her love. Now he’s infatuated and she’s decidedly not. Also, she’s a princess. Eugene, dude, all the ennui in the world can’t compete with that. So that’s that. 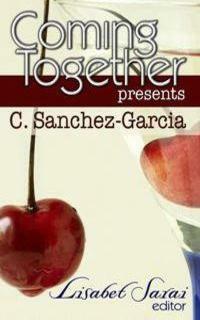 Interest lies in these characters’ emotional experiences. 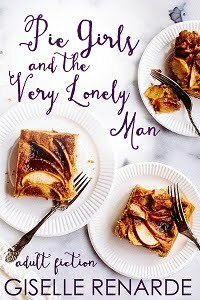 I began my adaptation of this work a couple years ago during NaNoWriMo, but I did something weird with it—something I’ve never done with any other book. I wrote my entire first draft as dialogue with the odd stage direction thrown in. I guess I did it that way because I was working from an opera, but also because the contemporary characters existed so strongly in my mind that I was just recording their conversations. It took me years to come back to my first draft and fill in prose where it was practically non-existent. I wouldn’t recommend this process. Or would I? 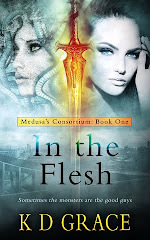 I’ve got to admit, the dialogue is very snappy, and I think it came out that way because I wasn’t stopping my characters’ conversations while I filled in dialogue tags and descriptions. I just let them run wild. That said, writing the second draft was a considerable slog. I felt like I’d already written this book and why did I have to write it all over again? As much as I enjoy this little book of mine, I’ll be glad to close the door on it, and the reason for that is a personal one. Nabokov said, of Onegin, “those most anxious to read a moral into the poem are apt to impose on it not only their own interpretation but even their own version of its events.” I’ve gone so far as to write my own version and, as I look back on the adaptation I’ve created, I can’t help thinking how strongly it reflects one aspect of my life. I don’t need to go into detail about the man I was once in a “relationship” with. The married man who was my teacher, whose mistress I became. You’re sick of hearing about him and I’m sick of reflecting on that time in my life. I’m ready to close the door on that, too. Well, I can’t help thinking how much I was like Tatyana, in my younger days. Wanting not only his attention and affection, but wanting more. Wanting a real life together which, thankfully, I wasn’t granted. Ten years went by. I didn’t marry a prince, but I would make a terrible princess anyway. Plus, I’ve got my girlfriend. I’m happy with her. I don’t want my ex back. At. All. So when he started sending me all these pleading emails recently, it grossed me out. Big time. Especially the one where he actually wrote the words “You are my bucket list.” Eww. Who wants to be called a bucket list? I shudder. I asked my girlfriend what to do about this grossness. She agreed that responding was not the answer, since he would take any response as an open door to further communication. She said, “Why don’t you block his email address?” and I was like, “You can do that?!? !” I had no idea. That’s me and technology for you. So I did it. Immediately. I closed the door on him. I blocked him out of my life for good, and I can’t begin to tell you how empowering that felt. I’m sure you can hear it in my voice. I was so done. Onegin wants Tatyana back, but nothing’s going to come of it. She’s closed the door on him. 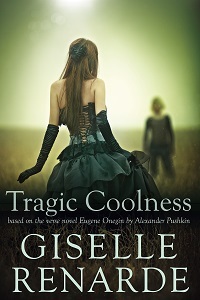 UPDATE: My Onegin adaptation is now available and it's called TRAGIC COOLNESS. Buy it now! Or ask your local library to acquire a copy. Read it now! This does sound fascinating, both for the idea of the adaptation and the way you've written it at first almost completely in dialogue. That kind of immersion in the characters could be a stroke of brilliance. I've never read the Pushkin, but your description of your own book really intrigues me. 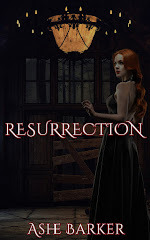 I've signed up for your email list and look forward to hearing about the book's future.